Opening Exhibition Saturday the 3rd of March 12-4pm, refreshments provided! 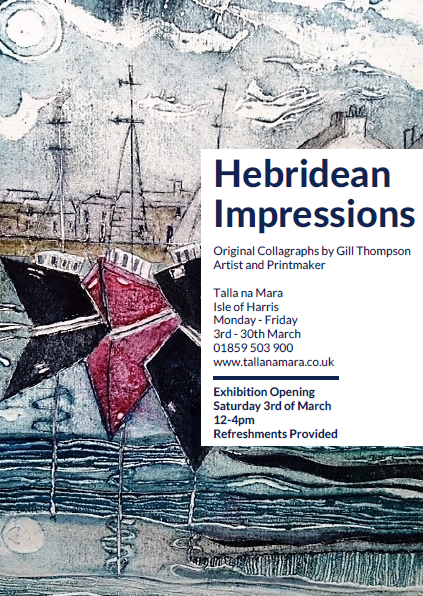 Join us for Gill Thompson’s exhibition Hebridean Impressions, on display Monday – Saturday in March. Gill is an artist and printmaker living on the Isle of Harris and Lewis. Join us to enjoy Gill Thompson’s exhibition Hebridean Impressions, on display Monday – Saturday in March.